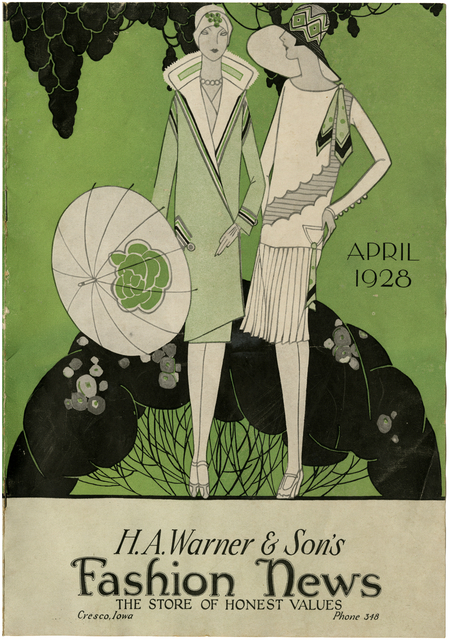 We close out umbrella week with this lovely cover of the April 1928 issue of "H. A. Waner and Son's Fashion News." This self-proclaimed "Store of Honest Values" was based in Cresco, Iowa. This advertising pamphlet highlights new spring and summer styles available for sale.